How to Sell Real Estate...FAST ! A few weeks ago, my Dad calls me up for a little advice. You’ve heard of this, right? You want to sell your house, so you bury a statue of St. Joseph upside down in the yard. You do a novena every day for nine days, St. Joseph puts in a word with the Big Guy, and you sell you house lickety-split. We did this when Dad put his house on the market, a few years after our mother died. Worked like a charm! It was easy to get the scoop on the whole St. Joseph thing back then because we had someone on the inside, my father’s sister, Georgiana. Get this: Georgiana left Mahoosuc Mills when she was seventeen years old, and went to France to become a nun. Her parents wanted her to wait a year, but she felt a calling. Besides, Georgiana knew: another year in Mahoosuc Mills and she’d be married. She made the right decision, too, ‘cause Georgiana had an impressive career: teaching, running a hospital, being on the Provincial Counsel and finally, working with older nuns as they were preparing to die. Georgiana passed away herself last October. She was ninety-three, and she’d just had her Jubilee Celebration: seventy-five years as a nun. Georgiana was a sister of St. Joseph, and the statue that Dad buried in his yard was hers, a beautiful wooden one, hand carved in Italy. Needless to say, with that kind of juju, Dad’s house sold a week after the sign went up. ‘Course it helped that Irene and me cleaned and de-cluttered that place to within an inch of it’s life. Still, that’s impressive! I googled “sell house St. Joseph,” and found tons of stuff. There were lot’s of Web sites for Catholic gift shops, of course. Apparently, the St. Joseph House Selling Kits are one of their most popular items. Who can argue with success, right? There was also some conflicting information on what prayers you’re supposed to say once you bury St. Joseph, and whether he should be facing the house or the road. But Georgiana told us to put St. Joseph upside down, facing your house, so I’m standing by that. My niece Caitlin says it doesn’t really matter because it’s all about “intention,” but that’s too woo-woo for me. I say just choose something and get behind it. After losing a couple hours on the Internet (‘cause that’s what happens. You start researching St. Joseph House Selling Kits and end up ordering a new summer pocketbook with matching umbrella), I reported back. That’s it for now. Catch you on the flip side! To Buy...or Not To Buy ? 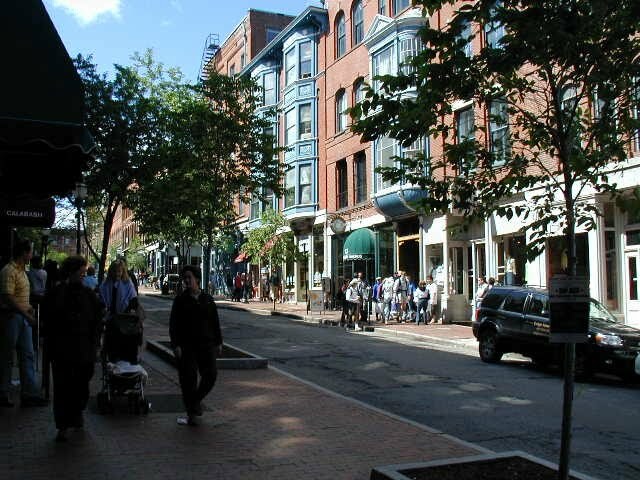 …THAT is the question – not for Hamlet -- but for many first-time home buyers, folks looking to upgrade their living situation, and for those contemplating purchasing a vacation or second home on the waterfront in Maine. While there are some strong signs pointing to an economic recovery – big gains in the stock market, increasing employment figures, and a generally more optimistic view of the future – there are still those predicting a double dip for our economy. Our view is that 1) real estate is always “local” in nature – what is happening in one part of the country, state, or metro area may not be happening in another, so you need to investigate the specific area you are interested in, and 2) unlike some “red-hot” markets in the 90’s and the first few years of this decade, prices in Maine did not go up that rapidly, and therefore don’t have as far to fall…but prices here HAVE come down 10-20% on average since their high point. While the cliché “now is always the best time to buy” may not have been true during the recent 3-4 years -- with the current large inventory of properties available, very low mortgage rates and Sellers who are very negotiable on price – we have some buyers who are taking advantage of the existing market conditions to make some excellent purchases. Waterfront Properties of Maine is pleased to announce the addition of Erik Amundsen to our team of experienced waterfront brokers. Erik came to us from Prudential Real Estate’s office in Camden, Maine. 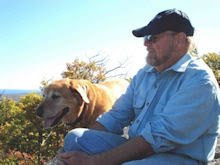 His waterfront experience began in the 1960’s, when his Connecticut family purchased a summer place on a small island off the Midcoast Maine area near Port Clyde. He took over his family’s boating business in the late 1960’s, which owned and operated a boatyard, a marine supply store, plus a full service marina. When Erik sold the business in 2003, he moved to Maine permanently, purchasing and renovating a 1777 farm house on Seven Tree Pond near Union. In addition to embarking on a second career in real estate, he has started a small vineyard where he hopes to produce some premium Maine wine.